My Thoughts... Exactly! | Hey, you wanna know what I think? Hey, you wanna know what I think? My poor parents. First my sister Jan goes to Biola College, then Joanne does four years at Cal State Long Beach, then I get into Art Center College of Design. In 1977 my parents moved from Playa del Rey to Sunnyvale and my brother John started his senior year at Homestead High School, then onto Cal Poly, San Luis Obispo. 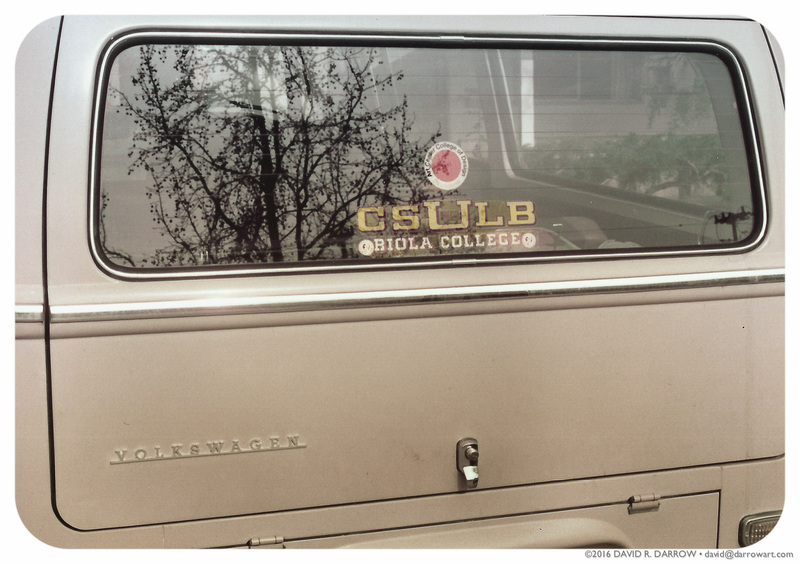 Four kids and four colleges. How did they do it? The Sunnyvale home in front of which this Volkswagon is parked was Dad and Mom’s final home, with their lives coming to an end in 2005 and 2012 respectively. This 1970 Volkswagon “Bus” was the only brand new car my parents ever purchased. The month they bought it, we — Mom and Dad and the four of us kids — drove across the South from Los Angeles to Virginia, up the East Coast all the way to Niagara Falls, briefly into Canada, then across the North of the US, through Bryce Canyon, along the West coast, back home. That’s how Mom and Dad chose to spend my dad’s 3 or 4 weeks of accumulated vacation. Photo: mid-to-late 1977, after they moved while I was at Art Center. 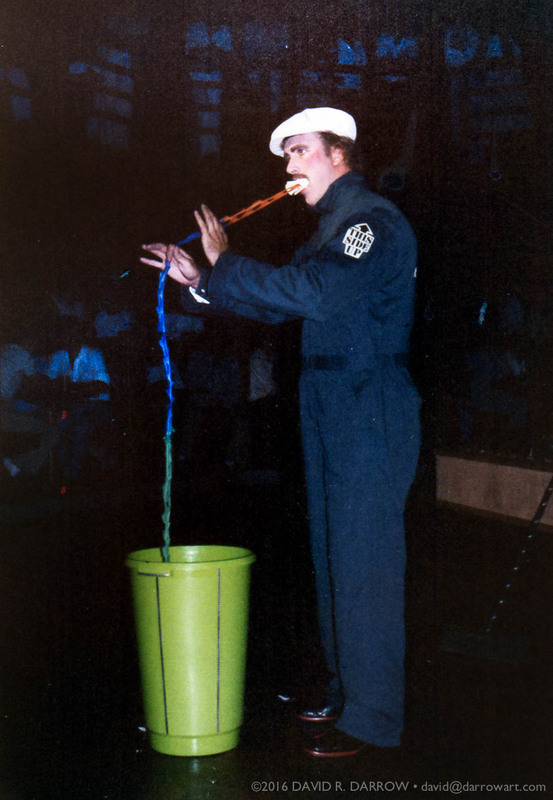 From my “act” in 1978. I eventually worked as a ‘beer tender” in the evening hours at Fargo’s Pizza in the Old Mill Mall in Palo Alto, CA and on Fridays and Saturdays when the hot disco bands were playing, I got the band-break gig. I had 15 minutes on the dance floor during the 45-minute break. It started when I was entertaining as a public “robot/mime” out in the enclosed mall and the owner of the Pizza place saw what I was doing while he was taking cover charges at his front door. I recall that his name was Jack. He came over and asked if I would entertain for a few minutes inside the restaurant and told me he’d pay me $20. 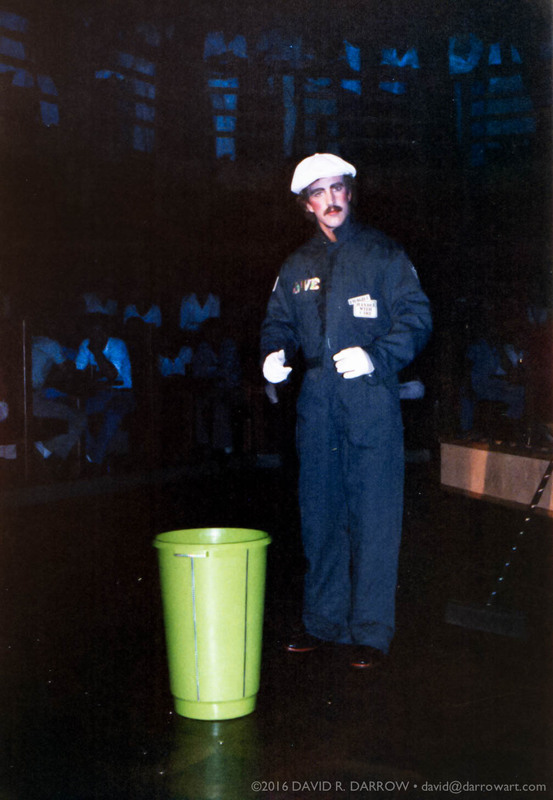 That led to a job there and a regular gig doing mid-band entertainment as “The Clean Machine” — a dancing, illusionist, robotic janitor character I developed. The jump suit would come off mid-act, after taking momentary cover, and I would reappear in a silver lammé tuxedo-esque outfit and a top hat. My act ended with dancing and magic to Earth Wind and Fire’s “Shining Star” and when the song ended I froze, standing straight up and tall, then tilted back on my heels past the point of no return, slamming my back to the ground amidst screams from the audience. It was a great finish, I thought. No, I don’t do that anymore. Chris, a friend of mine in San Diego since 2007 when we met over a beer and some art talk, sends me fun photos, wisecracks, jokes, memes and personal stories from his life as an artist. He’s a prolific airbrush artist, always a pro head-to-toe, hard-working and always busy. Over the years I have received always-amusing, one- or two-line emails from him. Minimalist commentary from a fellow artist and someone who, like me, enjoys biting back at would-be internet scammers. Today he shot a few lines and a link at me… notes on his weekend airbrushing shirts for a party, etc. The first event I did, they didn’t feed us — and the guests got food poisoning! The second event set me up directly in front of the DJ and his speakers and then they played Pop the Balloon (by sitting on it abruptly) 4 feet from where I was painting!! A tree fell on a car on Ingraham right after I turned around and went home. The driver was killed, unfortunately. I live nearly 500 miles north of San Diego now, but I wanted to know more… and see if it was someone I know from my life back then. So I looked up local San Diego stories and discovered it was a beautiful, 48-year woman, Nicki Carano — a drummer in a band called Spider Tree, driving herself alone to their gig in Ocean Beach. Seems a huge tree uprooted itself in the storm-softened soil and high winds pushed it over. It fell across the road crushing three cars. Hers was the only one occupied, and she was reportedly killed instantly. And I thought about the amount in time between life and death — potentially for any of us. 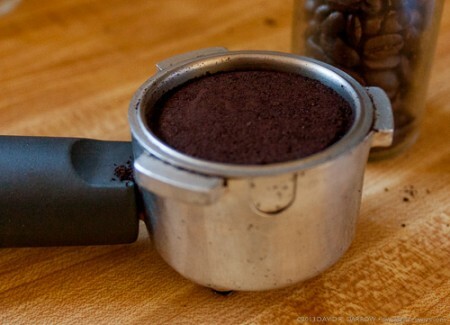 Instant for some. I thought of families with things left unsaid, like I love you, or I’m sorry. I thought about how so many opportunities to do right, to do more, to give or to take back — all completely disappear in that same moment in time. Forever. I read a bit about her and sent back a message to Chris that the driver was a woman, I added her name, and that it appears she was an active musician and teacher in San Diego. Killed instantly in a freak accident when a huge tree uprooted and fell in the storm, crushing her alone in her car. Little did I know I was a mere two degrees of separation from Nicki Carano — who leaves behind broken-hearted family, friends, music lovers and drum and tap students, along with fellow performers in the San Diego Academy of Performing Arts. Chris has known her for 30 years, passed by her shop regularly, just recently bought a flute from her, knew her when she worked in a shop next to his shop on the boardwalk in Pacific Beach when she was a kid. I know people who “cannot possibly go to bed and sleep” with dishes in the sink. The kitchen must be clean. “Leave them until morning,” is taken as enthusiastically as cursing their firstborn. Not me. That precious time before bed is my time for having a glass of wine and reflecting on the day. And having a glass of wine. 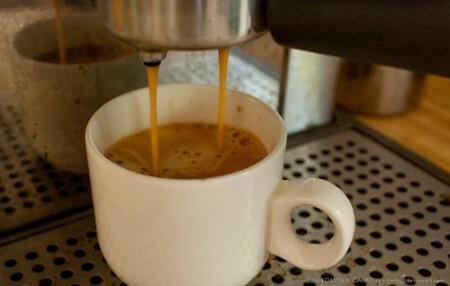 My morning routine involves recalibrating my vertical balance, teetering into the kitchen, filling up my Braun superheating electric kettle (See on Amazon) with water, starting it, letting the water run from the spigot to hot while I grind coffee beans (French Roast),subsequently dumping them in my French Press, then washing the dishes left in the sink from the day/evening before. It’s my first competition of the day. 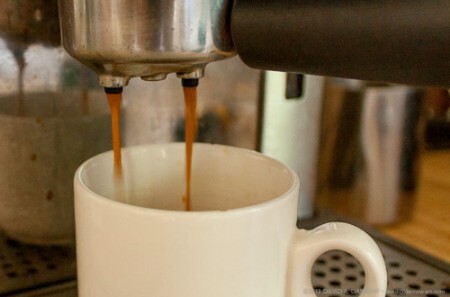 I race my speed-heating water kettle to see if I can sponge-wash everything in the sink — dishes, pots and pans, silverware, mugs and glasses and rack them all before the hot water is ready. This is usually a 4-minute window. I’ve gotten very good at it. Why do you think they named the detergent Dawn? Well over a decade ago I ran across a website called ConceptArt.org… a lot of film and game industry folks hanging out and chatting on a forum, with a lot of pictures. One discussion thread caught my attention: Journey of an Absolute Rookie. See, I had joined this online forum in December of 2003, and the fellow who authored the first post in that particular thread, Jonathan Hardesty [Facebook Profile], started his thread about a year prior to my reading it. Jonathan, who uses the handle “MindCandyMan” on that site, decided he “wanted to be an artist.” He told me later, in an e-mail, that he had a boring job and he didn’t want to do it for the rest of his life just to make money and so he thought about what would be a cool job? He liked playing computer games and admired the guys who created the creatures and environments, so, as simple as that, he decided he was going to learn to draw. Then maybe someday he could work for a computer game company. 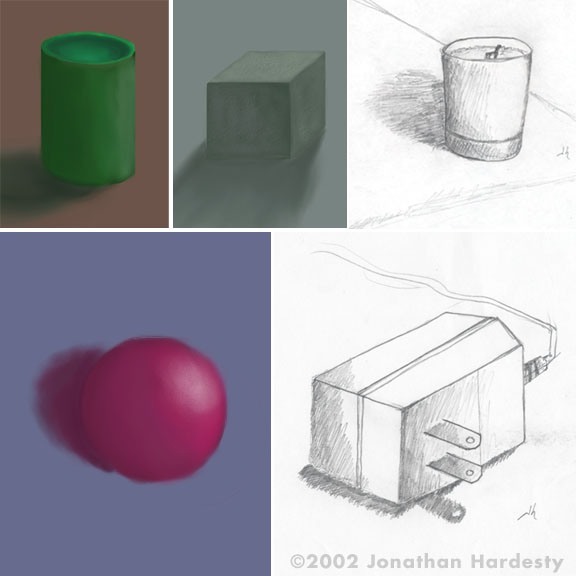 He discovered the ConceptArt.org forum, finding artists whose work he admired, and on September 15th, 2002 he crossed over… he posted his first drawings in his journey to learn to be an artist. There is a lesson to be learned about that kind of thinking. By June of the next year, barely 9 months into his journey to becoming an artist, Jonathan had enrolled himself in some art courses, and was studying Life Drawing. (There is no substitute for Life Drawing when it comes to developing the eye for drawing and/or painting). He posted his current work, above right, 9 months into his quest. A remarkable improvement. The mask drawing is what he had accomplished freehand, from life, less than 2 years from Day 1 of his quest. By April 2005 he had mastered values and was ready to begin painting. 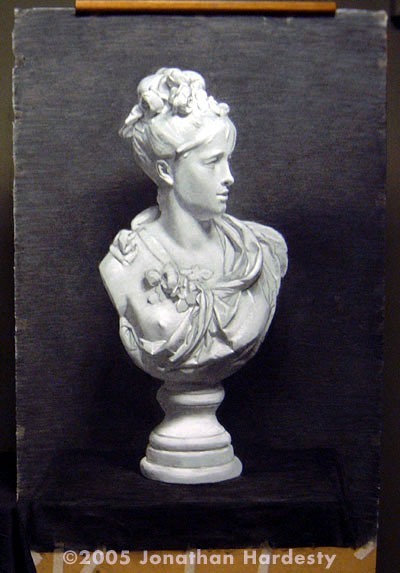 Here is his charcoal drawing from a “bust” sitting on a table in front of him. You can see where this journey has taken Jonathan in these slightly-more-than 13 years [at the time of this post, October 2015]: www.jonathanhardesty.com. Not at all remarkably, Jonathan now runs his own atelier, teaching other students to become quite good at drawing and painting. His school is an online venue, Classical Art Online, and the school has a Classical Art Online Facebook business page. Training from teachers who get results from their students that represent what you desire from their instruction, which is far more important than learning from a teacher who is good at the craft — not every craftsman is a good teacher. A Dream. A Decision. Hard Work. At the last moment, I was asked to interview attendees. So, I winged it. If you would like a copy of this 222MB “MP4” video, playable on iPhone, iPad and Android devices, as well as computer, download the WHS Class of 1975 20-year Reunion here. In November of 2002, I saw this vinyl sign hanging outside a restaurant in Laguna, CA. I thought it was funny. Not the untold, implied story — that part is likely sad — rather, the boldness of Eva as depicted on the sign. The restaurant is still in business in 2015, and managed, apparently, by Eva, sans-Drew. Eva’s Carribean Kitchen website and Facebook Page. Ever heard of an artist-craftsman named David A. Smith? You should see what he can do. The Making of John Mayer's 'Born & Raised' Artwork from Danny Cooke on Vimeo. 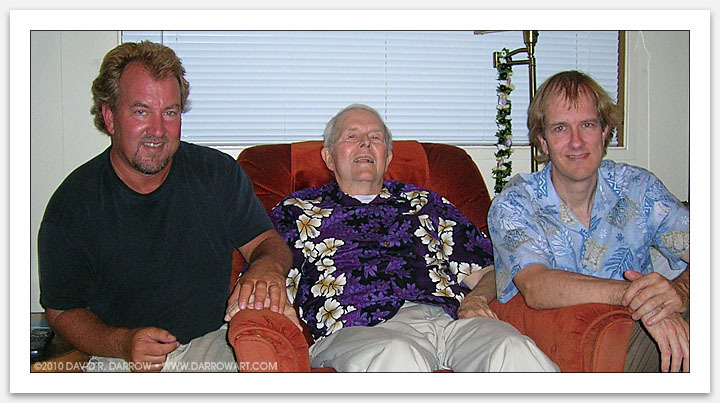 Ten years ago today, June 19, 2005, was my last Fathers’ Day with Dad — Robert A. Darrow. That afternoon we watched this video tribute together which I made to honor him, thank him. It’s not so bad. I still miss him a lot, but the pain of the loss is nowhere near what it was. It probably took a little bounce out of my step. Many things in life can do that. But happiness, joy, appreciating the humor in life — these are choices. And I still choose to laugh and enjoy. And I do know that life is short. Every now and again I go into my web domain’s “cPanel” (control panel) and poke around the Latest Visitors tool. This tool lists access incidents of files, images, videos, etc., most recent hits at the top. I found this peculiar reference (see photo above) to a snapshot of a TV tray I had posted on my site in 2007 when I was setting up an artists workshop. The “referrer” is the website somewhere in the world that is accessing and displaying my image. This common occurrence is called “bandwidth stealing” because it takes advantage of bandwidth (web access) that another entity (in this case: me) pays for to serve the resource to them. In this case, it’s no big deal. I pay for unlimited bandwidth with my host. The other issue of copyright is a little more personal. Again, in this case, no big deal. 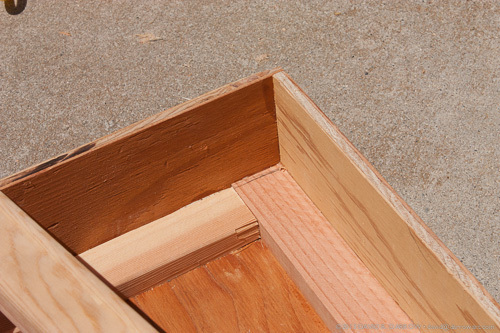 But really, this is my photo on my site, and some guy somewhere, describing how he build something out of a TV tray, was too lazy to go shoot a photo of what he made, and instead just linked to my image. His forum post looked like this (that’s my image – click for larger view). A screenshot of the post as I found it. That’s my photo. So I googled “TV tray” with other words until I found an image I thought would be a humorous replacement. I uploaded a copy of that image to my site in the same location the TV tray image was filed, renamed the older photo of mine, edited my webpage that referenced that photo so it would have the proper, new file name, the renamed this new photo to the original filename and re-uploaded the referring page to make my webpage look as it did before. How the post looks now, after I replaced the photo with a different one with the exact filename of the original. I wonder how long it will take him to notice. See the original post here — maybe no one’s caught it yet. A non-techie friend posted a comment on a Facebook post I created and referenced a scene in a movie for which she had a YouTube URL. Given that the movie is 102 minutes long, it was not the most helpful reference possible, so I put this together quickly to show the 5 simple steps to getting a person to the exact moment you want them to watch a in a YouTube video — and then to be able to share that unique URL on a Facebook post comment that will take a reader to YouTube and then to that moment in the clip, all with a single click. 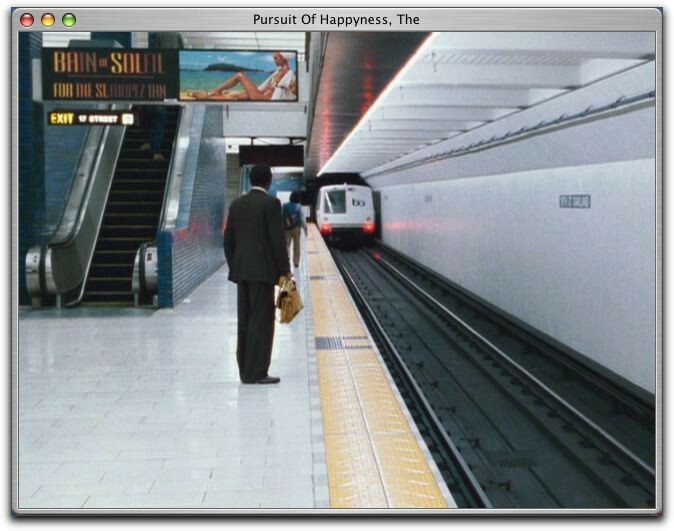 Locate the exact frame (or a few frames before) you want the clip to start playing. You may want to use the pause button first (lower left, under the video. It looks like a vertical “equals” sign while the video is playing; a right-pointing triangle when it is paused). (optional)Click “the Facebook icon” This feature is for those who want to create a new Facebook Post featuring the video, and has nothing to do with creating a link to post in a comment. Click the box next to the time notation to put a check-mark in it. After several years out of the commercial art market, I was called, out of the blue, to bring my portfolio to a design studio 125 miles away. They had three large illustrations to assign, and it looked like a fair amount of work. I was going to bid $1200 each, or $3600 for the trio. But when the art director asked me how much it would cost them, I asked in return what the budget was. I was prepared for her to tell me something as low as $2500 which I would then try to squeeze up a bit before agreeing. I have never been good at guessing these things. I paused. “These are worth at least nine, each,” I argued humbly… trying to get the work, but still retain my dignity and let her know I know this business. There was no recovering. I picked up my portfolio and left. I drove 125 miles north, to my home, with a red face and my tail between my legs. Example:This is the original text with no changes. Below, using strikethrough shows what is out, and red shows what is now in. Revision: This is the original revised text with no significant significant changes. And you can easily bring up the color palette (command-shift-c) for coloring selected text, such as the Red, I used. I could not find a PDF version of this manual online, so I scanned mine into a PDF document and tossed the fat manual in the trash. I hope you find this useful. It’s for a grill I purchased from Lowe’s in 2012 or 2013. The Master Forge 4-Burner Gas Grill Model GD4833. I’ll be starting a “boardroom portrait” soon. The finished painting — 24″ x 30″ — will hang in the Daniel Library at the Citadel in Charleston, South Carolina. It’s a famous military college, and my client is the Citadel, honoring an alumnus of the Citadel (1963) and a local-to-me business man who personally located me and asked that I create his portrait. The college has a history going back to before 1850, and many (maybe all) of the past presidents and a few other important alumni have had their portraits hung in the Daniel Library. Since this painting will be around for a very long time, I wanted the canvas to be sturdier than what standard stretchers would provide, and didn’t want to order the beefier stretchers online and wait for them to arrive, so here’s what I did instead. If you look closely, you can see the two layers of wood. I started with a stock, pre-stretched canvas. The canvas is usually very generic cotton duck on ready-mades, so I removed the staples and set that canvas aside for practice paintings later. I’ll stretch Claessen’s #166 Belgian Linen over it for the final painting. Very high quality, and a wonderful weave for portraits. I bought this refurb at Amazon for about $60 and it works great. I used the existing dimensions to mark my 1 x 2 furring strips. 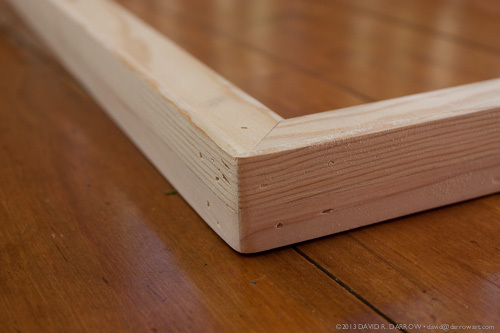 1 x 2 lumber in the USA is actually 3/4″ x 1.5″ and they call that “nominal.” Whatever. The ready-made canvases often have the benefit of having only one side bevelled, unlike stretcher bars that are user-assembled and have “goof-proof” double-bevelled surfaces. 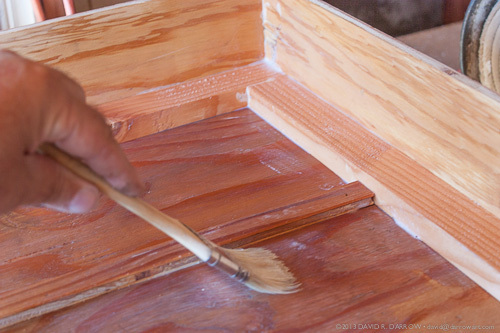 (The bevel is there to lift the canvas off the remaining wood, so that the artist doesn’t keep hitting it while painting, as the canvas flexes downward. It also provides airflow behind the canvas which helps preserve it from environmental problems, like mildew.) Since these pre-mades have a flat, not-bevelled back, they are appropriate for gluing and tacking on furring strips. 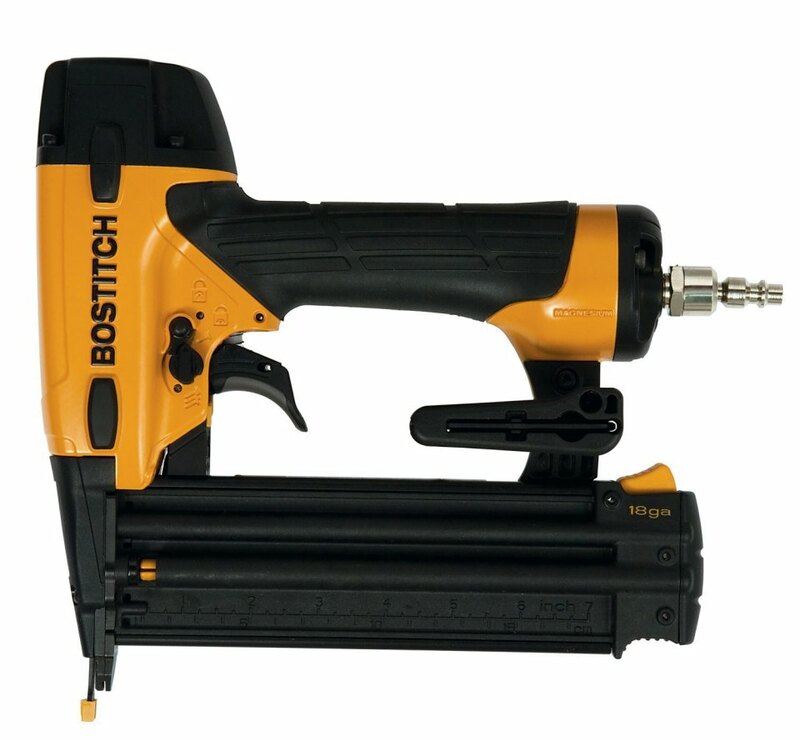 I use a small compressor and this Bostitch 18-gauge pneumatic nailer I got at Amazon to drive 1-1/4″ brads. It requires 35-60psi pressure and shoots a variety of nail lengths from 5/8″ to 2 1/8″. 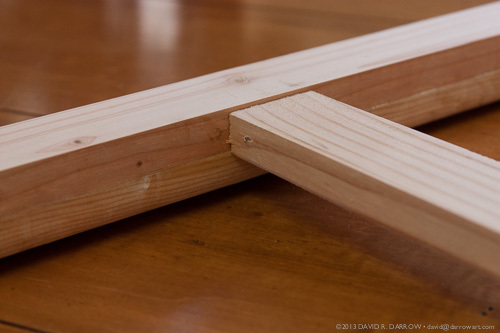 Flipped on its face, I added a cross-bar between and in the middle of the long sides from the same furring material (battens, in the UK) and inset it slightly to reach more toward the middle of the double-thickness. Glued and nailed with a brad. 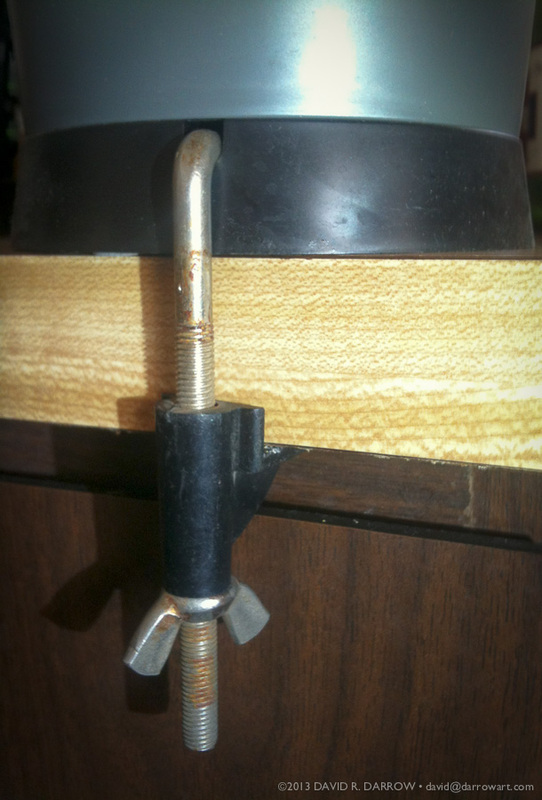 This will add strength to keep the 30″ span from bowing when I tighten the canvas. 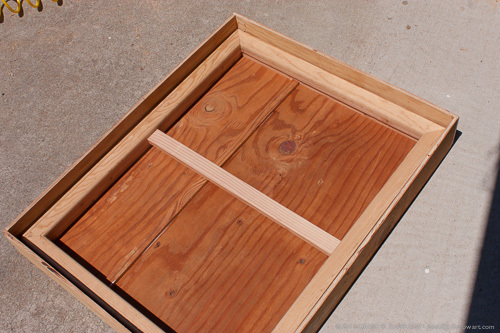 Before stretching the linen, or even beginning a painting, I build the shipping crate. Even though the subject of my painting is local, after his approval, it will be shipped some 2500+ miles away. I want it to get there safely. I want the crate to be sturdy but light. So I build it from 3/8″ plywood and more furring strips. The painting will sit down into the box, resting on 1 x 2s that act as spacing and a structure to which I can attach the back panel. 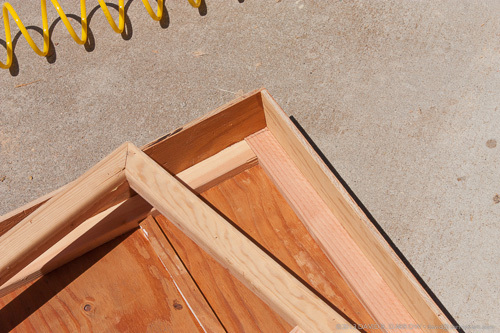 The crate allows for 1/4″–3/8″ “breathing room” around the perimeter of the finished canvas. I do this all now, because I don’t want to be doing trial-fits and measuring with a finished painting! For one thing, there’s a lot of sawdust. Sawdust and fresh oil paint are not friends, in my book. Not shown — yet — are the item I will use later to secure the painting in place for shipping. This extra breathing room is just enough for some dense, spongy padding, and the painting is held securely down with some mounts I have created for this purpose. Stay tuned, I’ll post another article with those details. 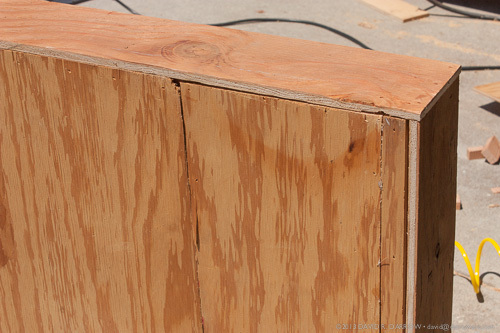 Since the back is fixed (unlike the lid which must be easily removable), I piece it together from some leftover plywood from previous crates and reinforce the seam inside, glued and nailed with brads. A proper-size full panel would have been better, but I didn’t want to run to the hardware store, and this will do fine. Plenty strong. 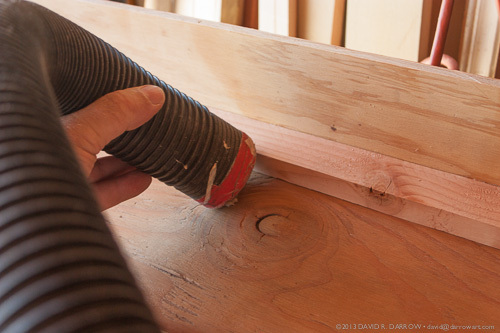 I vacuum out all the sawdust. Then I paint a coat of exterior varnish on the entire interior. I don’t want any sawdust coming loose in shipping and adhering to my finished painting — which will be naked inside this crate. I don’t do anything special like sanding. I’m just using it as a sealer. 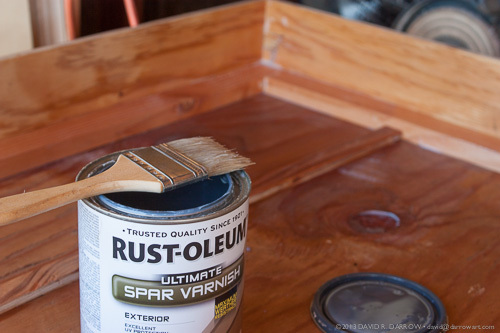 It’s water-based varnish and the brush cleans easily with soap and warm water — and there are no heavy fumes. Nice stuff. About $15 per quart. And no, I would never use it on an oil painting. It will be dry in under an hour. You can “subscribe” to my channel on uStream.tv to be notified when I click my camera on. Or watch from the Show page on my other website: Dave the Painting Guy. This USB digital recorder, available from Amazon, for under $10 (at the time of this writing), is very simple to use. Fits in your pocket or hang it from a lanyard around your neck (not supplied). Record meetings, class lectures, record family history from elder relatives before they are gone, record an event you may need for later, for example: if you get pulled over. Plugging it in to your computer charges its battery, and allows it to act like any other 8GB thumb drive. Unplug it from your computer, set the switch to ON and it records audio. It does not record while plugged into your computer. It will hold over 150 hours of audio — but don’t expect the battery to last longer than 8 hours before recharging. Click here to go to the Amazon product page for this USB recorder. It has only an on/off switch, so nothing else to figure out. Turn it on, it records. Turn it off, it stops recording. Plug it in your USB drive on the computer and a folder pops up with the audio file(s) in it. Click on a file and play back the recording. Drag and drop the file to your hard drive audio files folder to save it. How simple is that!? While in Safari viewing the web page you want to send, do the keyboard shortcut Command-i (⌘-i) — that’s it! Wait a moment, your Mail app will open and in another moment you will see [usually] the entire page reproduced inside a new message. (Sometimes, because of the way some pages are constructed they don’t look quite right in Mail, but it’s worth a try…) Address it and Send. By the way, Send can be done with Shift-Command-D (⇧-⌘-D). But this is not a review of the movie, even though it does stir up a lot of my old forgotten emotions from the time period in which it was set, 1981, when I was just beginning my career as an illustrator. One of the things that impressed me was the movie sets, with authentic period decor… starting with the Ban de Soleil tanning lotion ad in the picture above. Ban de Soileil was the tanning lotion of choice for snobs — or at least I thought so, sitting there on the beach with my bottle of baby oil and iodine. I knew they had done their research when this scene flashed by. 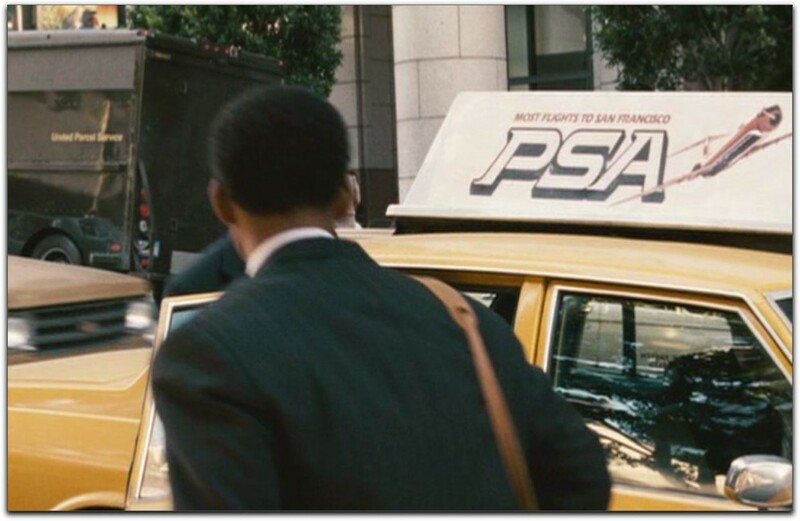 Will’s character gets into a taxi with a Dean Whitter exec, and the ad card on the roof was a pristine PSA Airlines ad. PSA was “out of business” by 1988 when acquired by USAir, but for the seven years they used that particular airplane illustration that had been incorporated into their logo, I seethed. See, I was a new illustrator on the San Diego scene. After a nine-month stint as an in-house illustrator with General Dynamics, Covair Division in Kearny Mesa, I got washed out in a 400-employee downsizing, and found myself treading the scary waters of the unemployment pond. Rather than stand in line for government assistance, I hit the streets with my college portfolio, first meeting with San Diego Illustrator Darrel Millsap — who became a friend, and a mentor of sorts — and then to design groups and ad agencies, always asking for more referrals. This all brought me to the little design team of Clem and Bonnie Schwartz who hired me, that day, to do an illustration of a PSA plane flying up and over to the viewer’s right. They were preparing a 2-page, black and white spread in a newspaper campaign, and wanted to dress it up with an illustration of the plane with the signature “smile” on the front. I took the job. It paid $750, and I needed to pay my rent. I went down to Lindbergh Field, stood outside the fence and shot pictures of departing PSA flights with a zoom lens on my film camera, prepared an under-drawing for my final illustration, got it approved, and then received a phone call from the Schwartzes. They wanted me to “paint it in color, just in case at the last minute PSA decides to run the spread with color.” I figured that wasn’t that big of a deal, so I complied. I painted this in 1981 for a one-time newspaper ad. It was then used as the company logo, with no additional compensation. They loved my finished illustration… …so much so that they took advantage of me [read: royally screwed] and told me after a month or so that they could not release my payment to me without my signing-over copyright and ownership of the original art. Whomever owns copyright — inherently with the artist unless transferred or sold in writing — can do with it whatever they please. But, like I said, I had rent to pay. They told me this was just a formality, and that I had nothing to be concerned about [except that signing it was the only way to get my check], so, trusting them (did I mention green behind the ears?) I signed the agreement [which gave them copyright] and my check came a few days later. Within a month, the illustration had been incorporated into their previously barren PSA logo, and was used in virtually all print and media advertising until their merger with USAir in 1988. I never saw the original art again, and I never received a penny more in compensation. Movie note: The guy at Dean Whitter that keeps asking Gardner (Will’s character) to get him some coffee is none other than Dan Castellaneta, the voice of Homer Simpson. In a fast finish of my fast-paced walk the other day, I decided to run at a fast pace. Apparently, I knocked my clip-on pedometer off in the street where I found it the next day… right outside my house… but it had been run over by a car. Really, you can expect only so much from any device under such conditions. So I am happily buying another one. One that hasn’t been run over. I recently bought this $5 step counter from Meritline. That’s $5 including free shipping. Also called a pedometer, it does one thing: attach it to your hip and it counts the number of times you step forward or backward. It’s a digital counter that electronically measures movement using a simple internal mechanism. And yes, the battery is included. I’m not sure if this is within the realm of complete integrity, but when I opened a can of Trader Joe’s Organic Pinto beans and poured off the heavy, syrup-like liquid in which the beans floated (and only enough to allow the beans to settle in), the can weighed noticeably less, and was only 2/3 full. I guess they are being honest… maybe overly so. I mean, it’s my fault for thinking I would actually want to consume all 15oz of the stuff in the can. The photo on the front which does not show beans frolicking in a pool of clear-ish sludge is merely a “serving suggestion.” So naturally, I was wondering what the beans weighed before they were prepared properly, you know, bone dry. Ahhh… 2/3 of what I thought I bought. That’s truth in advertising for you. One unadvertised bonus: Trader Joe’s does not use BPA in most of their packaging. My father died 8 years ago today, a little after 10am. I knew then that life will never be the same, and I have been right. But that’s not a bad thing. And it’s not an entirely good thing either. Life goes on. The pain of his death, for me, is gone. I have accepted it. Nevertheless, there is a feeling of missing that is neither painful nor comfortable, but something in between… a resolution that this is just the way life goes… chipping away at us day by day. Giving and taking. I like the mountain tops much more than the valleys. But I have to admit I learn so much more in the valleys. 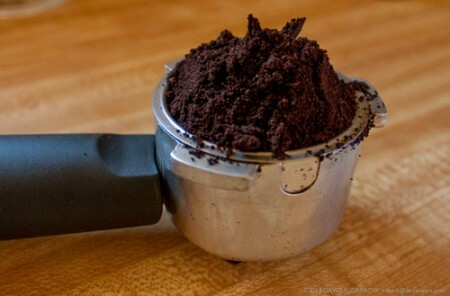 …into the portafilter so that it’s flat, and 1/8in. (.32cm) or less from the top. Pretty firm pack. 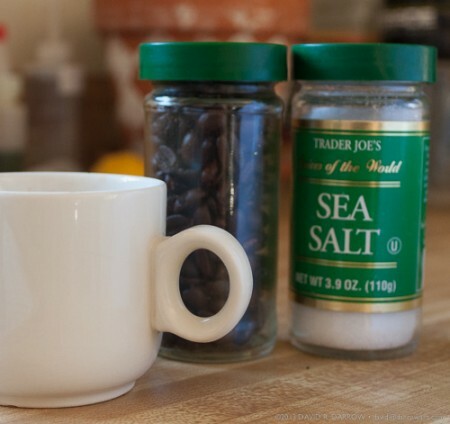 I pack it with the lid of an empty Trader Joe’s sea salt jar which is a perfect fit (I filled mine with coffee beans so it stays near the espresso maker). 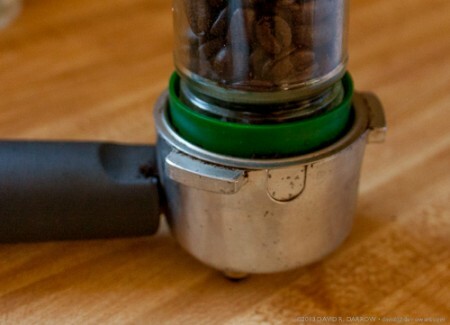 Then I mount the portafilter. The next step is awesome for extracting: wet the grounds before the pull. Then On for a complete pull. This podcast Episode 3, is with my inspiration for art and my most loving critic: My mom, Doris Oden Darrow. Months before she passed away, I sat with her to record old memories of life just getting started as a young married woman of 20. “What was that like?” I learned a lot listening to her. And I think you’ll find it fascinating. New Audio PaintCast™ Episode available today from Dave the Painting Guy’s “Drawing On Experience.” Free! 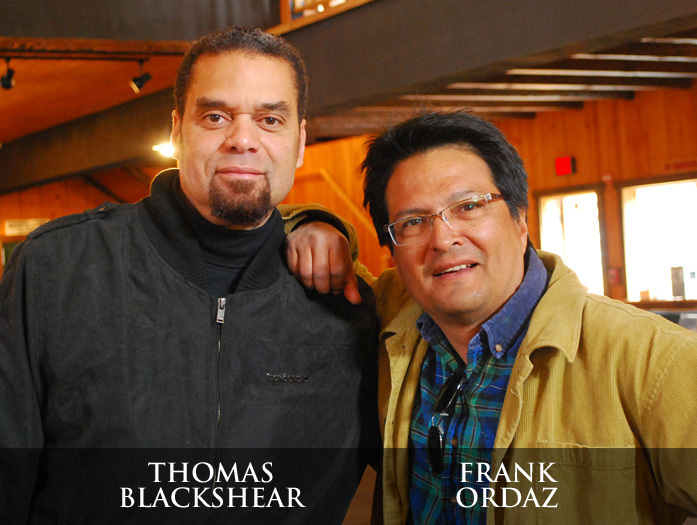 Interview includes Thomas Blackshear and Frank Ordaz, and has all the charm of listening on a conversation between 3 old illustrators who haven’t seen each other in 30 years. Very funny stuff. Recorded one year ago; finished off yesterday. Cleaning Your Kohinoor Rapidograph Pens the Dangerous Way. Assembling a cleaned Rapid-o-Graph pen. Disclaimer: You are responsible for what advice you choose to follow and the results. Common sense and Great Care are your friends. Proceed at your own risk. Yeah, Kohinoor is pretty adamant about never taking apart your Rapidograph pen! But I’ve been cleaning my same Kohinoor pens for over 40 years. You just have to be very careful, especially on pen-sizes smaller than #1. After the parts of the pen and pen nib (tip) have been throughly cleaned (there is no substitute for Kohinoor’s own brand of ink solvent: Rapidoease, in a 4oz jar or 8oz bottle, which, unlike other cleaners, will not eat into plastic or metal), you’ll want to reassemble the pen in the following order, with these well-tested steps. Hold the empty nib (2) in your non-dominate hand, with the metal tip pointing downward. Pick up the cleaning-needle and weight assembly (1) in your dominate hand, needle downward, and gently lower into the nip. DO NOT push it in! Let its own weight be all the pressure needed. If the weighted needle (1) does not drop all the way in, lift it out slightly and drop it straight down (needle downward) trying to visualize the tiny, centered tube you must drop the needle into. 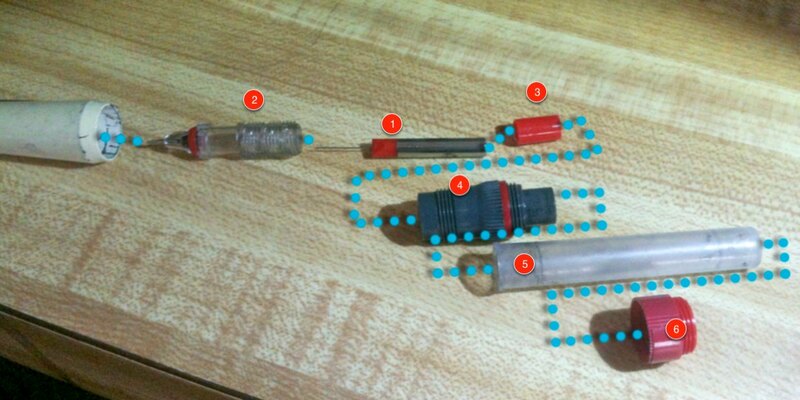 Again, DO NOT press it down, as this will likely ruin the needle, rendering the pen unusable. Lift and drop over and over until it finally drops in properly. Once (1) drops into (2) successfully, the back cap (3) will fit over the metal end of the weight (1) and press into the nib (2). It makes a tight seal by fitting into the inside back-end of the nib. Fill the reservoir (5) with KohiNoor black ink for technical pens, or a good quality water-based ink for easier cleaning. Fill no less than 75% capacity. Holding the reservoir with the opening upward, press the back end of the body into the opening until there is a snug fit. Finally, place the ring (6) over the reservoir (5) and thread it onto the body (4), and if you have an extension handle (not shown) thread it onto the ring, making a full-sized pen. 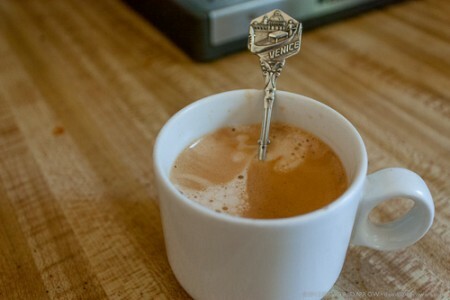 Cap it and store it, tip upward. 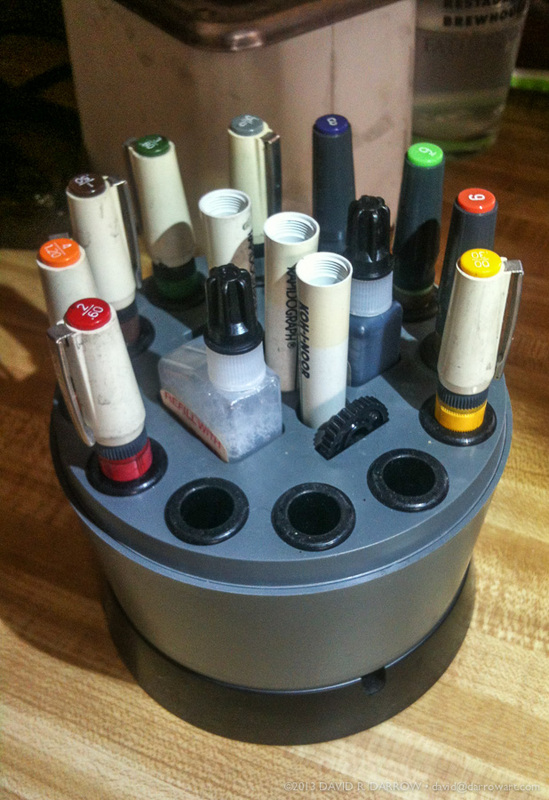 If you have one of those canister style pen kits, you can hold it to your drawing table by slipping the shorter part of the metal “L” into the slot at the base, then loosening the wing-nut to open the gripper to just wider than the table thickness, then tightening the wing-nut until you have a snug grip. Using the supplied table clamp. If You’re a Painter, Drive Politely. I just got a phone call a few minutes ago, in my home, from a fellow who sounded a bit agitated. “Yes it is, who’s this?” I usually don’t give out info without finding out the nature of the call. This morning’s caller sounded like one of my friends, kind of. “Dave the painter?” he demanded? Sometimes a person will punch in a wrong number and get me by accident, and in their confusion they’ll ask “Who is this?” My favorite response is, “Well, I can’t tell from here. I can’t see you.” There’s usually a bit of silence before they explain. “Is this your white truck parked in front of me?” he cut in. “Um… where are you?” I asked as I went to the kitchen window only to see a calm, empty street in front of my home. “I’m in San Jose, just ready to enter Sunnyvale… I’m trying to find the sonuvabitch that just cut me off the road, and there’s a truck in front of me with “Dave the Painter” on it. Whew! I was able to talk him down to calm, but, man! sometimes the confusion about how to explain to people what I do can be dangerous. “I’m an artist” is way too vague. “I’m a painter” often results in gratuitous requests for a quote for three rooms and the garage. “I paint people” sounds like a performance piece for a warehouse art gallery opening in San Francisco. I told him I paint portraits, not houses. I hope he feels better, soon. It must have been a let down to reach a gentle paint-pusher on the phone in his kitchen making coffee. Why Does This Look Familiar? Let me state right off: I am not likening our president to Hitler or Stalin. But let me add to that, I think it’s reprehensible to make use of children, who do not have enough maturity to make decisions affecting the society they live in, to position oneself politically, or attempt to soften one’s image, or appear warm and fuzzy by making use of children. I say: If politicians want to visit a school and greet children, do it in secret, with no cameras or journalists. That goes for Bush, Clinton, Obama… all of them. In 2002, I and my wife at the time had dinner with a couple of friends from Germany, here temporarily on work visas, and we were chatting about the still-recent 9/11 event. They talked about how interesting it was to see moods go from horror, to acceptance, to resolve, to getting to work immediately, and to see Americans join together in solidarity, all in the span of a few days. Then, almost as if they were confiding in a close friend, in whispered tones, they told me something I will never forget: It was frightening to them to see all the US flags coming out, being waved by everyone. I presumed this was some leftover or handed-down fear of the American flag being associated with bombs or gunfire, but no, it was from a position of national shame. Germany, they explained, is still deeply embarrassed by what the Nazis did. And Germany is still embarrassed by all the enthusiastic nationalism, patriotism and “Germany’s the best!” attitude they all engaged in. And of course, the horror it all led to. Germany, they had learned in school, had become a country of flag-wavers just prior to the Nazi takeover. To them, all the flag waving was, to my German friends, now, a dire warning of politicians winning the hearts of an entire country — because when you can do that, then you can do almost anything in the name of your country. I was so blinded and deafened by national pride and a “need for national vengeance” at that time that I thought they were crazy for comparing America to Nazi Germany in even the remotest way. But I noted that it was an interesting take on all that was going on… as the USA prepared to go destroy both Afghanistan and Iraq. Over 10 years later, I can still hear their voices and see the looks on their faces as they talked about what could come after the flag-waving… and I am very inclined, now, to think they were right. There is much to be concerned about. Watch what America’s leaders do. Does it resemble anything we have seen in the past? Does it matter much that we are America and they were the bad guys? Are America really the good guys like we’ve been taught? Are we really spreading democracy? And if we are a Republic (rule of law) why do we spread democracy (rule of majority) anyway? Our founding fathers went out of their way to avoid democracy. Do we have more flaws than we let on? Are our flaws as big as the Emperor’s naked behind? Are we the only ones who don’t see what we have become? I see what’s going on with gun control, using crises, using children… I see that the Executive Orders of yesterday have little if anything to do with any laws that would have prevented what happened at Sandy Hook, yet they were leveled on the American people as a response to Sandy Hook. What is the bigger picture? What is in our future? What kind of world is my grandson going to grow up in? My German friends may have been righter than they could have imagined. Since I wrote this it has come out, but not widely reported by the bought-and-paid-for Media, that Adam Lanza did not use a so-called ‘assault rifle’ (not even the AR-15 he was reported to have used) in the massacre. He used only hand-guns. This makes the Executive Orders banning guns as a response to the Sandy Hook massacre nothing but a political show, using the deaths of innocent children as a smoke-and-mirrors springboard for a political grab. Whether you believe in a person’s right to bear arms or not, you must in all honesty admit that the gun ban has no roots in Sandy Hook beyond showmanship and fantasy. I hope we get to the truth of why and how these innocent, precious lives were ended. The official story, again, has a stench about it. You might be wondering how I am doing, what with sitting here watching my mother living out her last hours. It’s Sunday, December 9, 2012, and my mom is still fading out in her ready-to-go but still-so-resilient way. Many of my Facebook friends and extended family tell me they are praying for me through this time, and that I am in their thoughts. I am so grateful for loving friends and family. I have to tell you, though, this is a wonderful experience. There are tears sometimes, but they are mostly born of happy memories, and gratitude for my mother’s influence in my life. Mom comes from a long line of traditional marriage and family caring. 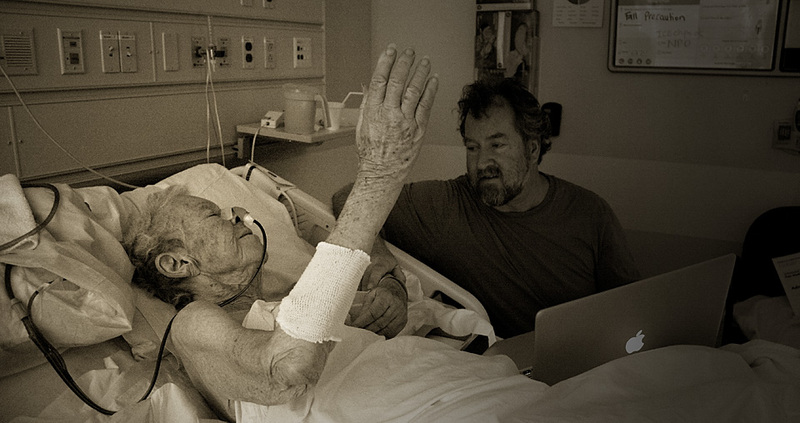 As I care for my dying mother, I recall the years of self-sacrifice and care I received at her hand, and realize I could never match it in 10 more lifetimes. You haven’t really lived until you’ve experienced death. I was much younger at the time [my memory says high school or college days] and, having not experienced any close death in my family, I could not relate. I’ve been at the hospital since Thursday morning, but for a night’s sleep on Thursday at home when I believed they had mom stabilized. My good friend Caroline Spangberg drove in from out of town to be with her dying friend, my mom, and to help her living friend, me. Caroline has a wonderful, generous and giving spirit, and hasn’t thought twice about stepping up and helping with so many of the intimate items of caring for a dying loved one. Caroline’s family and mine go way back to when her dad was my dad’s boss at a company in Costa Mesa, CA in the mid-1960s. Our family and hers became life-long friends. Her dad spoke at my dad’s memorial service, recalling all the years of friendship, bible studies, friend-to-friend counseling, and so on. For Caroline, she says, this is like helping family. I’m so grateful for her help and company, for otherwise I would be doing this alone. (My brother has been out of town with his fiancée Jen for her bridal shower, preparing in a whirlwind for their wedding which is this Tuesday, I think). I don’t want to sound like this is hard. It’s not. I still laugh and joke, my mom still smiles… there’s lots of love and laughter still. I don’t mind being tired. Perhaps being a little punchy brightens things up. Yesterday was a bit of a spiritual day. 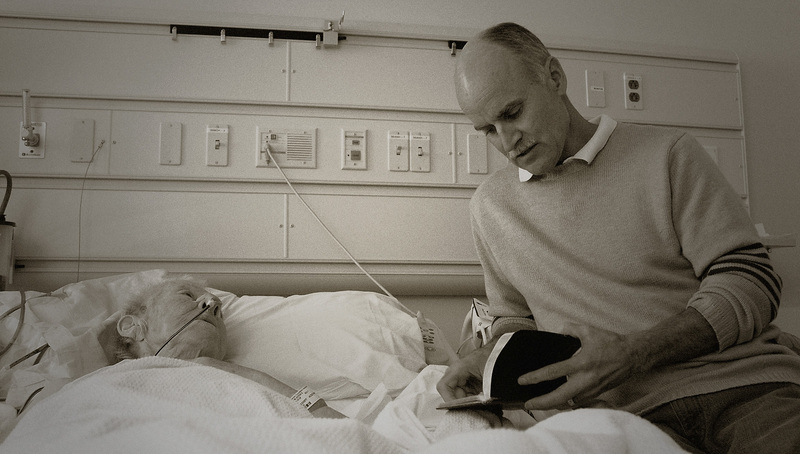 With memories of Bill Harmon stopping by her hospital room on Friday, a kind gentleman and a deacon in her church — his ministry lovingly absorbed — a pastor from her church came by yesterday, stopped in just long enough to express his love for my Mom and Dad, and to read her Psalm 31. Brian Morgan is a deeply feeling man, and an excellent teacher of the scriptures — one my mother’s favorite teachers. He’s a lover of art and poetry, an articulate speaker and deep researcher. I was delighted to have him stop in. Later when the room was quiet, I fired up my laptop and found some soothing music to play for Mom. She smiled instantly at the opening notes of a familiar twist on a Christmas song by Chris Rice: Welcome To Our World. And after that was done, I played for her a song that was performed live at my sister’s memorial service in 2008. Officially, the song is called Untitled Hymn but has become known as Come To Jesus, also written by Chris Rice. My mom lay smiling with her eyes closed there in her hospital bed. And when he reached the simple chorus with “Come to Jesus…” she spontaneously raised her hand to heaven. With this kind of faith — always a part of her life, and truly instilled in me — this is most certainly not a time of sorrow, rather a time of joy. Mom is near the finish line, and the crowd waiting to greet her on the other side is much larger than that which she leaves behind — all of us cheering her on. Death is an interesting challenge to what you always believe about faith and the nature of God. I am sitting with my mom this morning literally watching her wait for death to come. I am no longer asking for a miracle healing, though. I thought that was a good, faith-filled approach, but I realize that I don’t actually believe that kind of miracle is possible now. I guess I have a limited understanding of the nature of miracles. I don’t quite believe the ‘amount of’ my faith has anything to do with her passing or healing. That is all in God’s hands. If it depends on my faith, she’s surely gone soon. I am looking at a woman who feels worse than she has ever felt in her life, quietly agreeing with what I hear her utter: please, God, make it soon. My love of God and trust in Him does not change through this (at least, I don’t think so at the moment). But it sure forces the desire to have answers, this cancer that’s all but killed mom. It’s a bit frustrating, too, to see that she’s not going to pull out of this one, and also frustrating not to see my request for a soon passing being granted — a simple, merciful request. My brother and his fiancee have been, essentially, up all night with her, and I am spelling them at the moment. A hospice nurse is due at 11:00. It’s a little after 10, now. I also think of what my mom went through with our illnesses and injuries as kids. I know she cried over us, sometimes. I heard her. Now the roles are reversed, and tears come to my eyes as I watch this wonderful woman with a broken body feeling worse than she’s ever felt in her 84 and a half years, waiting for death to relieve her. We both wait for death to relieve her. Hostess Brands — a lesson in economics and the job market. From the look on her face, the idea that not getting an automatic and significant raise after a year was clearly a foreign thought to her, and I could tell she wondered how I could be so out of touch with reality. At one point or another I have taught each of my own children the realities of the working world: You work for a dream and you work for wealth. If it’s your company, you work for your own dream and your own wealth, and if you work for anyone else, you are working for their dream and their wealth. The problem I have always had with unions is where they fail to recognize (or believe) actual economics (“financial math”). They want to fight for all their members to receive “fair pay” and fair benefits, and so they make demands on other people’s money. 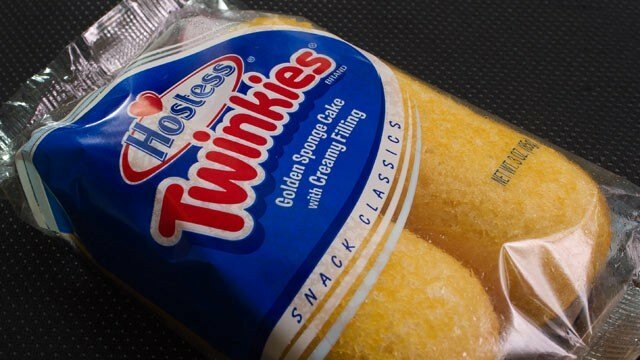 Hostess’ CEO determined that there was a breaking point, a point of no return, and he named it in no uncertain terms. An insufficient number of employees returned to to their jobs from the union-directed strike to operate the company at a profit, and the camel’s back snapped. Just like that, 18,500 people are added to the unemployment statistics, falsified for political reasons though they may be..
And I will bet all 18,500 of them think they deserve their job. The company is liquidating so they can pay back a portion of their debts to others who gave them credit. It’s more than just the company owners and the employees who lose. Sometimes gratitude comes too late, when it could come, as a matter of the will, every day. So it goes with Democracy, which America’s founders attempted at all costs to avoid: As one wise man put it, Democracy is two wolves and sheep voting on what’s for dinner. A time may soon be coming when all we’ll have is our wits. That’s when it will really seem unfair. © 2019 My Thoughts… Exactly!